Horses are large gorgeous animals and liked by many people. As a horse owner, you must be conversant about the horse diseases that are very common. A healthy horse is most desirable to the horse owner and fit for any purpose. The knowing of health issues are more important to take adequate care of your horse. To keep your horse free from diseases is also utmost important. 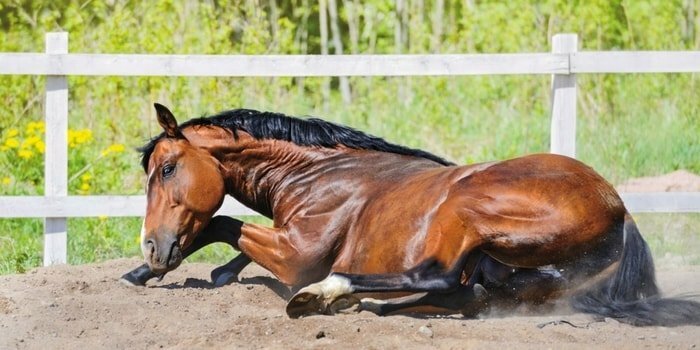 There are several common horse diseases that make you anxious many times if you are not addressed at the proper time. As a horse owner, you must have a minimum knowledge of the different disease and health problems of your horse. In this article, I shall discuss the most common health problems and horse diseases in brief. 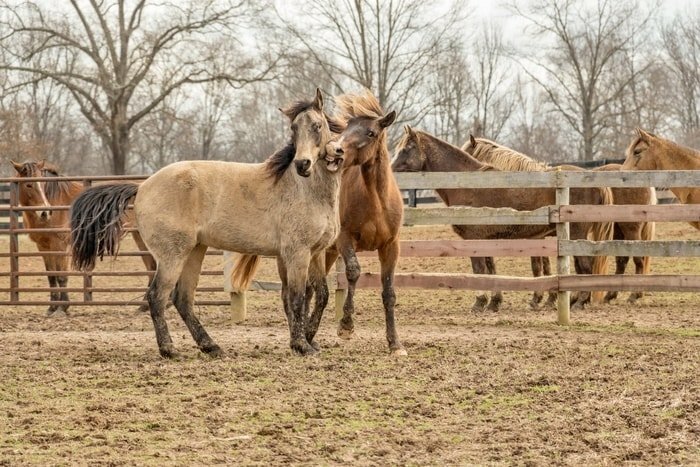 Your horse may be affected by many organisms like bacteria, virus, fungi, parasites, and other animals, all these cause infectious horse diseases. There are several non-infectious horse diseases which also creates considerable problems that mainly arise from managemental faults, nutritional deficiency, and environmental factors. In my article, I shall discuss bacterial, viral and some non-infectious or nutritional horse diseases in very short. Pneumonia and abscess developing in the internal organs. The main treatment is supportive care which includes fever are controlled by anti-inflammatory drugs, the abscess needs to be drainage. The prevention is based on the vaccination program and the identification of causal agent and prevention. The another most common bacterial disease of the horse is glanders, which is caused by gram-negative Burkholderia malleus and does not produce spore. This bacterial disease is characterized by the numerous ulcerative nodules found in the skin, lung and upper respiratory tract of the horse. The disease is transmitted by the ingestion of contaminated food and water through discharge from the respiratory tract or ulcerating skin lesion of the carrier animals. There is three form of glanders like Nasal Form- The nodules develop in the nasal mucosa which is degenerative in the deep ulcers. There is pyogranulomatous rhinitis with ulcers of the nasal area, trachea, pharynx, and larynx, regional lymph nodes are enlarged. Pulmonary Form- Edematous nodule formation, pneumonia, respiration, pyogranulomatous nodule, and an abscess can also be formed in the liver, spleen, and kidney. Cutaneous Form- Nodules found in the subcutaneous tissue and in some cases orchitis may present. The main treatment of Glanders is treated with Sulfadiazine or Tetracycline antibiotics after confirmatory diagnosis of the disease. The prevention is better than the cure for the disease, vaccination can be done at regular interval for the prevention in early age. 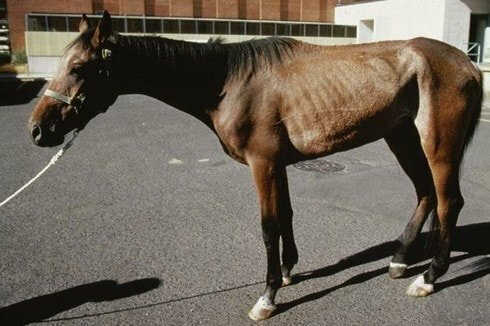 Equine tetanus is the disease condition originates from the toxin that produced by an anaerobic bacteria Clostridium tetani. The disease enters in the body by the deep puncture injury. The injuries found in the dead skin ( such as burns, frost bites, gangrene or crush injuries) are common causes tetanus. The main clinical symptoms are stiffness, involving the masseter muscles and muscle of the neck. The lock Jaw occurs due to the spasm of head muscle which leads to difficulty in mastication and prehension. The ears are erect and the third eyelid prolapse, walking, turning and backing are difficult. 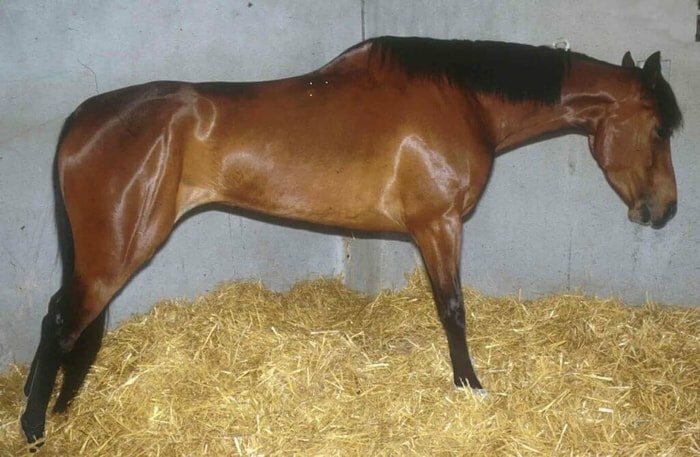 The treatment of tetanus in horse done by the use of penicillin after proper diagnosis of disease. The prevention of tetanus is done by the regular vaccination by tetanus toxoid in horses yearly. The bacterial disease of the horse caused by the Clostridium botulinum, a gram-positive, rod-shaped bacterium that produces neurotoxins. The disease transmitted by the ingestion or inhalation small amount of soil or dust contaminated with bacteria spores. The spores can also enter the body through the eyes or a break in the skin. 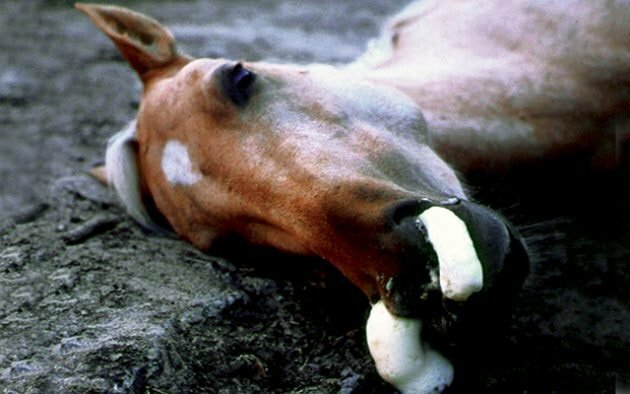 Botulism in the horse often results in the horses from forage contaminated with type C and D toxins. Difficulty in chewing and swallowing. The toxin damage the nerve affects the muscle strength but not sensation. The death of the animal caused due to the respiratory or cardiac paralysis. Botulism is easily prevented by the vaccination and you can prevent botulism by the target in the causes of infection. The treatment is done by the antitoxin, antibiotics and some supportive care. The anthrax is an acute or peracute horse disease caused by the spore-forming bacterium Bacillus anthracis which normally present in the soil of the stable area. The most form of the disease are lethal, and it affects both human and other animals. 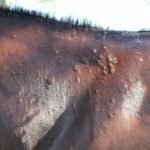 The route of infection is inhalation of bacteria spores, ingestion and penetration through a skin lesion of your horse and after that reactivate and multiply rapidly. The transmission of anthrax may also occur by insects bite from infected animals. There are mainly three forms of anthrax in horses: pulmonary, cutaneous and gastrointestinal. The disease is mostly acute or peracute and the infected horse may die without showing any clinical symptoms. In some cases the body temperature rises up to 105 F, chills, severe colic, bloody diarrhea, swelling of the neck, sternum, lower abdomen and external genitalia, rapid heart rate, and breathing. 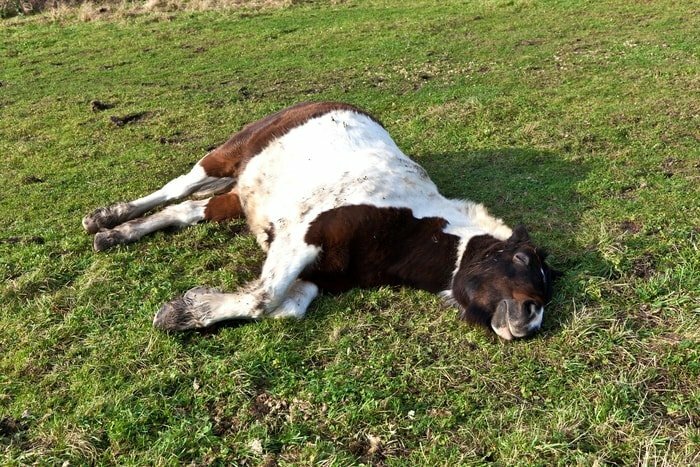 The horse may die within 2-3 days of onset of clinical signs. If you suspect anthrax in your horse, you must immediately go to your vet. The disease diagnosed accurately by simple gram staining of affected horse’s blood. 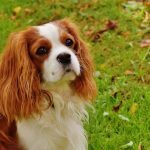 The main treatment of the disease is antibiotics like Penicillin or Oxytetracycline or Cephalosporin as decided by your vet. The effective method of prevention of the disease is vaccination with anthrax spore vaccine and revaccinate annually. Rabies is severe, fetal and viral diseases of animals which may also affect your horse. This disease is caused by lyssavirus which affects the neurologic systems and the salivary glands. The saliva of an infected which act as the carrier of infection to other animal through a bite and enters to the open wound. The clinical symptoms exhibit the progressive paralysis of all muscles, excessive salivation, jaw, and eyelid drop, change in temperament and rise in body temperature, restlessness, and irritability, hyperexcitation, circling and head pressing, loss of appetite, depression. There is no treatment of rabies after the onset of clinical signs in horses. 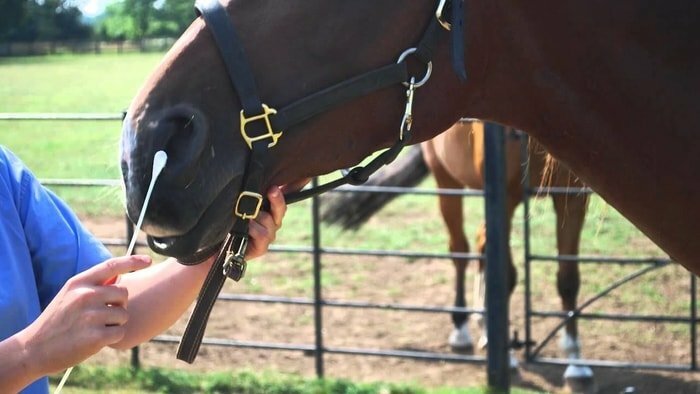 The vaccination of horses after a bite by rabid animals to your horse’s post-exposure vaccine. The pre-exposure vaccines may be done in rabies prone areas to prevent the diseases. Influenza in horses is an acute respiratory disease, caused by Equine Influenza virus A serotype 1 and Equine Influenza Virus A Serotype 2 or Miami Strain. The disease is a short incubation period of several days and profound coughing. The diseases spread rapidly by aerosol droplets among groups of susceptible horses. The disease is manifested by elevated body temperature, coughing and a mucopurulent nasal discharge due to secondary bacterial infection. The incidence of the outbreak of influenza has increased due to the international movement of horses by air transportation. The vaccine should be done by the preventive measure. The vaccines are inactivated influenza vaccines containing subtype and two are used extensively as a single vaccine or as a variety of combined vaccines which includes tetanus, equine herpes virus, and viral encephalitis antigen. The treatment of equine influenza is antibiotics for prevention of secondary bacterial infections. The supportive treatment will be provided by the experienced vet. 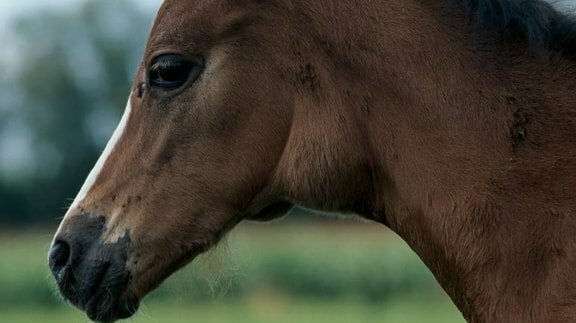 The disease caused by the Equd Herpes virus type 1 and type 4 which is characterized by enteritis, abortion in the mare and occasional perinatal mortality. The disease is the sporadic occurrence of paralysis of horses of all ages and respiratory diseases. The disease is manifested by the abortion in the mare, sudden fever, intermittent serous nasal discharge, congestion of the nasal mucosa and conjunctiva, loss of appetite, coughing, enlargement of submaxillary lymph nodes and in some cases diarrhea after constipation. The only means of control the disease is vaccination with life and killed Equine Rhinopneumonitis used in most countries. The live vaccine is recommended in pregnant mares but given to prevent the respiratory diseases. You must quarantine your horse immediately after onset of disease and antibiotics to prevent secondary bacterial diseases. The Equine Encephalomyelitis is the mosquito-borne infectious viral disease which affects the brain of the horses. The reservoir of the disease in birds, reptiles, and rodents, the mosquito acts as vectors. The disease transmitted by the bite of infected animals by a mosquito and then the subsequent bite to other healthy animals. The disease is manifested by the high fever, diarrhea, loss of appetite, central nervous system disorder, paralysis, circling, hyperexcitability, and death. There is no specific treatment of Sleeping sickness of a horse. Your vet may suggest some supportive treatment for your horse. The horse needs to immunization against the disease and vaccination is the best way to prevent the disease. To prevent the spread of further healthy animals you must control the mosquito in a stable area. 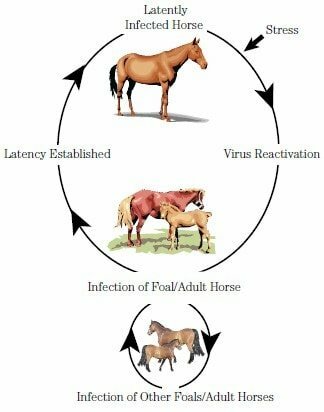 The disease Equine Infectious Anemia is caused by Retrovirus that is called Equine Infectious anemia virus. The virus is transmitted by blood-sucking insects such as horse fly, deer fly, and mosquitos. The disease is manifested by fever ( temperature up to 105 F) anemia, edema, cachexia, jaundice, tachypnea, tachycardia, colic, abortion, destroyed red blood cells and thrombocytopenia. The identification of infected horse is most important immediately isolation of the animals to reduce the risk of disease to healthy animals. Potomac Horse Fever is caused by Neorickettsia risticii which also known as Equine Monocytic Ehrlichiosis. 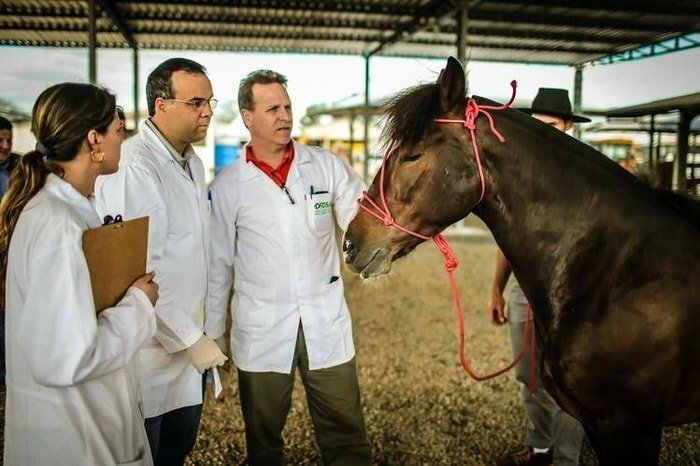 The disease is caused in the worm month of the year and characterized by the diarrhoeal syndrome those horses are kept near the river or irrigated pasture. The mode of transmission is not recognized but the blood-feeding insects are the vectors of the disease. The disease is characterized by fever, depression, colic, mild to profuse diarrhea and laminitis. The treatment is done by the antibiotics oxytetracycline and non-steroid anti-inflammatory drugs. The fluid and electrolyte therapy should be given when diarrhea and electrolyte loss. If the protein loss occurs you may go for plasma transmission. 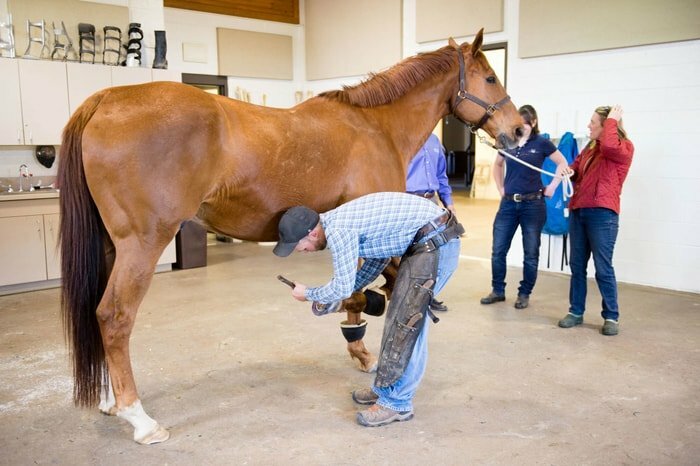 In case of laminitis, your vet may recommend for sole support and local therapy. African horse sickness is one of the most serious viral infection of horses because of the high mortality, over 70% following infection. The disease is mainly insect-borne viral disease. The disease is caused by an RNA orbivirus, of which there are 9 distinct serotypes, and it is transmitted by the biting midge of the Culicoides species. The disease is known by the fever and body temperature may rise up to 104-105 F, sweating of the supraorbital fossa, facial tissue, neck, thorax, brisket and shoulder, dyspnea, coughing and finally death. You must establish the quarantine zone and you must control the movement of animals. You should keep horse house insect free and thus control the vectors. You can vaccinate your horse to develop the immunity against the disease and polyvalent vaccine achieves the best protection against all serotypes. 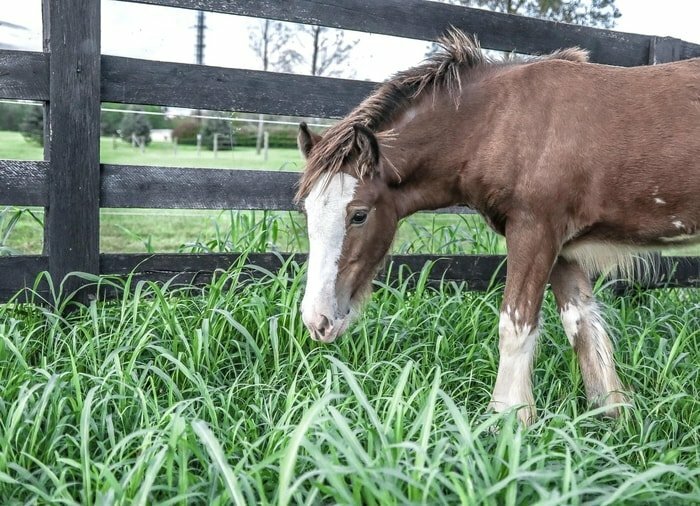 Colic is the abdominal pain of horses which occurs by many causes such as nutritional, parasitic, infectious, managemental fault, or even by the influence of pasture and environment. The condition is manifested by the mild to severe abdominal pain, rolling on the ground, looking towards the abdomen, muscle cramps in the thorax and abdomen, increased respiration and heart rate, constipation or diarrhea, excessive accumulation of gas in cecum and abdomen. 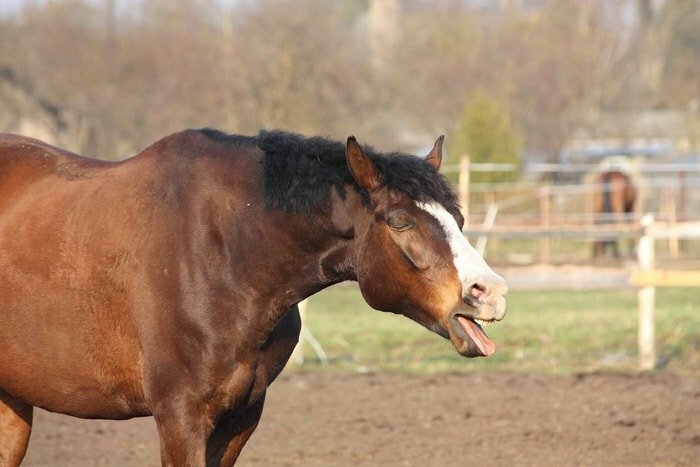 There are several causes of horse colic and each has specific signs and symptoms. The diagnostic procedure and treatment or correction procedure are also different. The diagnosis of colic mainly depends on the close monitoring of the history of horses ( Like feeding, bedding, care, and managemental factors). Your vet will decide the treatment procedure your horse colic. The prevention of colic is more important than treatment because the preventive measure can save the life of your horse. As a horse owner, you must know the correct managemental procedure, maintain the correct managemental schedule and close observation on the horse environment. 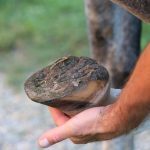 Laminitis is one of the most important horse hoof diseases. The main cause of laminitis is stress, overweight of horse and excessive intake of carbohydrates. Laminitis is an inflammation of the laminar structures of the foot and varies significantly in degrees of severity. 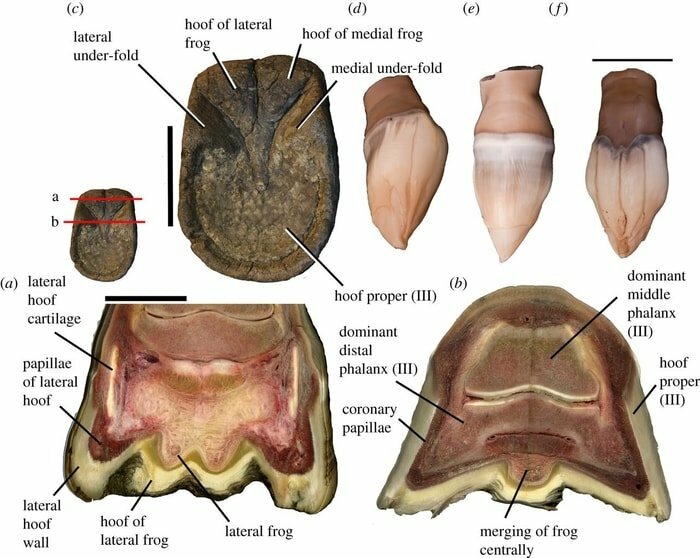 This inflammation and damage to the laminar bad results in loss of functional integrity of the support structure of the foot coffin bone and sensitive tissue of horse hoof. The disease is manifested by the inability to walk and cannot move due to severe pain, abnormal horse gait, the horse may be lame, increased digital pulse rate, heart rate increased simultaneously. To prevent the condition laminitis you must maintain horse diet carefully, keep your horse in a stress-free environment, keeping safe your horse from severe infectious diseases. 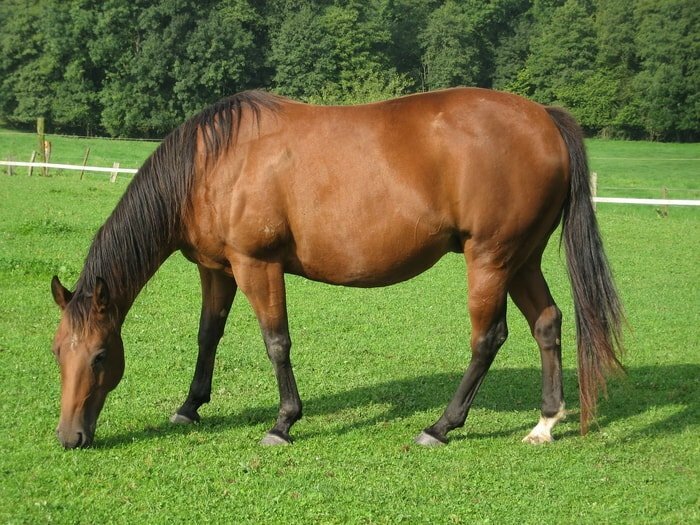 You must be looked into the matter of obesity, to do so you must restrict the excessive grass intake of your horse. You must see your vet immediately to recover the condition. The vet may suggest painkiller to correct the situation promptly. You must follow the diet chart and feeding schedule for your horse prescribed by your vet. The alternative name is Tying up or Monday Morning disease in horses. The name of the disease as such because the horse has given full ration and exercise after a full rest at Sunday and bring him on Monday morning at the ground. The condition mainly occurs on racing horses. The clinical signs of the disease are manifested by coffee color urination, muscle crums of the hindquarters and the back, stiffness, and pain, when the pain is enough causes sweating and labored breathing. The horse does not move, distress behavior, pulse rate increased in many cases. The veterinary attention needed, give some rest to your horse, apply hot towel or bandage at affected muscle or leg, in severe cases you may give some painkiller or anti-inflammatory drugs. To prevent the condition you may add some vitamin or mineral premix to your horse feed. Gravels are most frequently caused by a nail driven into the white zone of the foot or by a stone bruise or puncture wound. The causes of gravel may also result in a subsolar abscess and so this conditions will be discussed together. In several cases, there is a palpable digital pulse, heat and noticeable lameness. 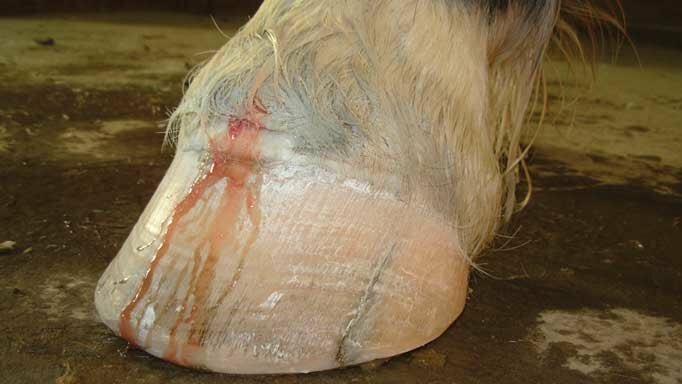 If an abscess is located using a hoof tester or by pairing the sole, aggressive treatment is required to find the black spot or line where the abscess is located. Horses that are severely lame will be nearly sound once the pus is drained and pressure on the foot removed. The following steps are a wise procedure for the treatment of abscesses in the sole of the foot. You must locate the abscess using a hoof tester or hoof knife. Explore the area with the knife and try to locate the origin of the abscess. If the abscess is too deep or if one is not readily found, it may be prudent to apply a poultice to soften the sole and draw the abscess. After the abscess is allowed to drain, it is important to pare away all the affected necrotic tissue. After removal of necrotic tissue, the lesions should be protected with a bandage and treated with the furnace or other antibacterial ointments for several days. Following treatment, caustic powder should be applied to harden viable tissue and allow remaining necrotic tissue to slough off. During the time caustic powder is used the lesion should be bandaged. After healing has occurred, the horse should be shod with a pad to protect the sensitive area. At this point, the horse may be put back into work. 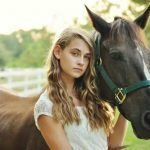 Your horse may be bitten by any animals near to him like a dog, cat poisonous snake, rat, rabbit, bat or even by the other horses. 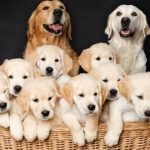 The signs of the animal bite you will identify by small scratch or bite wound in the skin especially in feet, neck or in the mouth. 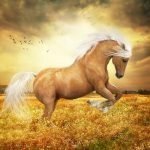 You must contact with your vet if your horse was bitten by a street dog, wild fox, bat, wildcat or poisonous snake. The vet will decide the treatment strategies and most of the cases treated are very simple dressing. 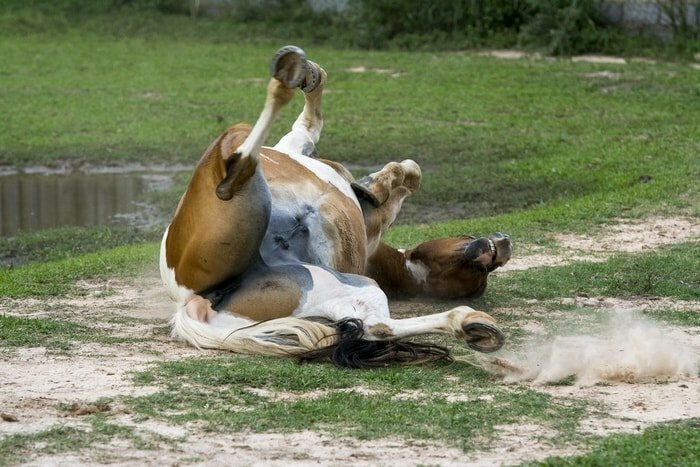 The vet may suggest post-exposure rabies vaccine to your horse. As a horse owner, you must be cautious about the wild animals in and around your herd and stable and take necessary preventive measure. 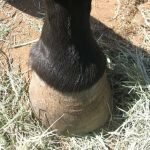 Hoof is the most important and sensitive part of a horse. A healthy hoof and feet are very much necessary for the healthy horse and keep it fit for work. Within the category of horse diseases, hoof diseases are very important. 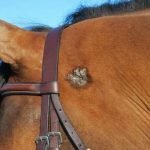 In the above discussion, I have tried to highlight the most common horse diseases in very briefly. 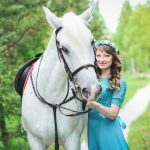 As a horse owner and horse lover, you must very Carey about your horse and try to keep him free from infectious and communicable diseases. The above discussion will help you to develop a preliminary knowledge about horse diseases. 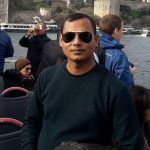 I think these piece of information will help to identify the problems at a first sight. If the above pieces of information help you please subscribe our website to get the latest pieces of information and share via social media.